Many people look forward to reaching the age where they can drive, yet with rising gas prices, this major right of passage isn’t quite what it used to be. Prices are expected to continue to rise in the years ahead, meaning that young drivers need to start practicing habits that will help them save money at the pump. A slow-moving car requires much less fuel than a speedy one. 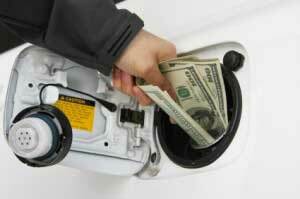 Most cars have the highest level of fuel efficiency when they travel between 45 and 55 miles per hour. Over time, this will save you quite a bit of money on your fuel costs, and it will also ensure that you never get a speeding ticket. Gone are the days when you could run to the store whenever you need a single item. With gas prices being the way they are now, it’s important to plan your weekly errands and activities to ensure that you make the most of your fuel. If you have certain weekly tasks to take care of, such as grocery shopping or visiting the laundromat, try to do them all on the same day. Look at a map of your city and figure out the most efficient way to plan your routes. Anything that makes your car more aerodynamic will increase your fuel mileage. Open windows, open sunroofs and a large amount of items stored on your roof rack will all add drag to your car, making it require more fuel to get up to speed. Whenever possible, store items in the trunk, and keep your windows shut while driving on the highway. If you commute to work or school, try to find others in your area who do the same. Not only will riding together save all of you money, but it will also help you make new friends and have fun on your commute instead of spending it alone. After waiting 16 years to get your license, you probably don’t want to hear this, but it’s true: Walking or riding a bicycle is the best thing you can do if you want to save on fuel costs and cut down on environmental impact at the same time. This isn’t to say that you shouldn’t enjoy your car, but if you can avoid it on short trips, you should most definitely do so. Keeping your tires at the recommended level of air pressure is important. It reduces your risk of suffering a blow out and helps improve your fuel economy. It can also ensure that your tires last as long as they are supposed to. If you aren’t sure how much air to put in your tires, check your owner’s manual. Many young people are intoxicated by the newfound freedom of owning a car and feel tempted to go on long drives as a result. While exploring your neighboring states can be fun, there is likely a lot that you have never seen in your local area. Take that long country road and see where it goes, or invite your friends to go for a hike in the nearby woods. The more fun places that you can find at home, the less money you will need to spend on recreation. Many people believe that shutting the engine off and then starting it again wastes more fuel than sitting in idle for a period of time. This is actually untrue. If you’re going to be parked for more than a minute or two, it will save you more fuel to shut off the engine. If you’re storing things on or in your car, you’re wasting fuel. Driving around with your mountain bike on your rack may demonstrate to everyone that you’re an active outdoorsman, but it isn’t worth the cost of fuel in the long run. Your car will hopefully be with you for a long time, so it’s important to take good care of it. Getting regular oil changes and other maintenance will help you avoid breakdowns and ensure that your fuel efficiency remains as high as possible.